AD plus CHP or CHCP - What? Yes AD combined with CHP or even CHCP. What is all this acronym stuff eh? AD is Anaerobic Digestion, its the sort of process that happens in a sewage works where all that nasty stuff is broken down by 'good' bacteria. What is left is largely safe but has given off lots of methane gas and CO2, along with some other trace stuff. Anaerobic means 'without Oxygen'. Now that Methane is what we need. Its almost the same as Natural Gas that you buy at home. So it can be 'cleaned up' and sent down pipes to the gas mains or it can run a gas fired electricity generator. But rather than just generate electricity, we also need to look at how effective the burning of gas in an engine really is. When gas is burned in say a modified car engine to drive a shaft to turn a generator to produce electricity, there are loses. These loses affect the efficiency of turning the energy value of gas into electricity. 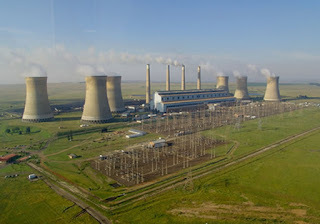 It is disappointing to discover that only around 20-25% of the gas burnt produces the electricity. The rest is 'low grade' waste heat. Read more: AD plus CHP or CHCP - What?